While we’ve already familiarized you with this season’s of-the-moment denim dresses, one style has recently emerged as somewhat of a leader in the pack. We’re talking about the pinafore: an overalls-dress hybrid that’s taking the fashion world by storm. Whether you choose to wear it with a skin-baring crop top or dress it down with a plain white T-shirt, you’ll get a lot of use out of the dress this season. Scroll through to shop the 12 best pinafore dresses available now! 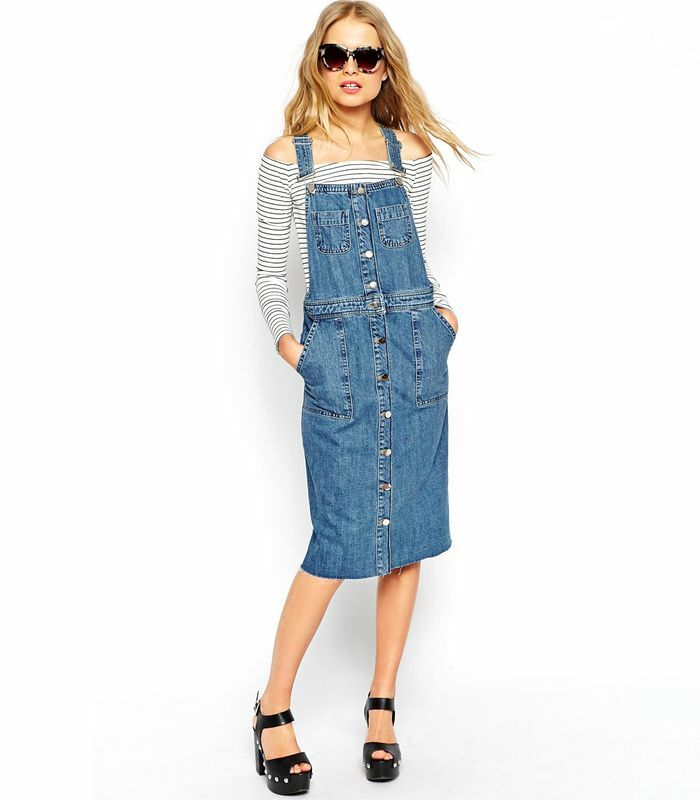 How do you feel about the pinafore? Sound off in the comments!